In order to ensure that you're actually killing an app and its background activity, install ShutApp from YirgaLAB. This app not only hault running background processes, it also displays the potential data and battery life saved by doing so. When you first open ShutApp, you'll be required to enable accessibility services for it. Tap Open Service, then locate ShutApp under the Services header and toggle it on. Whitelisting certain apps will prevent ShutApp from killing them. You should whitelist things like live wallpapers and music services—basically anything that you want to persist. Just enter the whitelist through the settings, select an application, then hit Add. Tap the large SHUT button to begin killing apps, after which you'll see a Done screen with information on how much battery and network data was saved. ShutApp is free, simple to use, and doesn't require root. Let us know what kind of results you're getting in the comments below, as well as on Facebook and Twitter. Hey, that's awesome to hear. I'm glad people are noticing a difference and getting more juice out of their battery. Thanks! Some apps I don't kill are things I want to continually run, like a live wallpaper. Others can be apps you're currently using. Even after you exit or close an app some of the activity continues, so this helps with that. 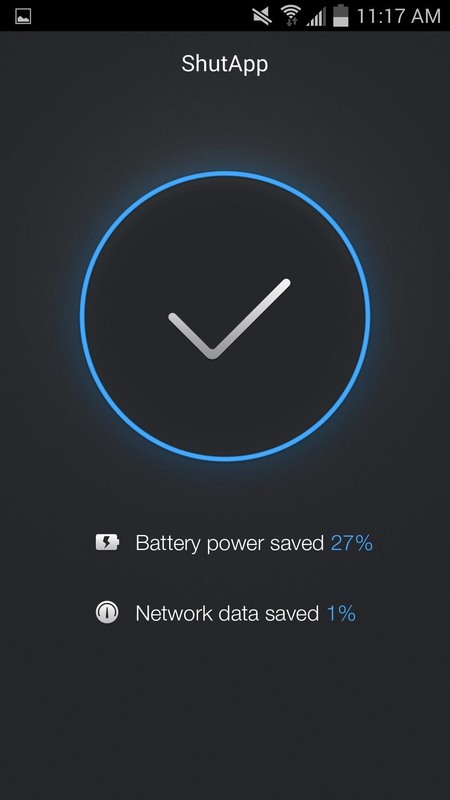 You will have to do this again periodically if you want to consistently save some extra battery life. And yes, you can just open apps again and it'll all be fine. Another task killer? What, are we still on Froyo? 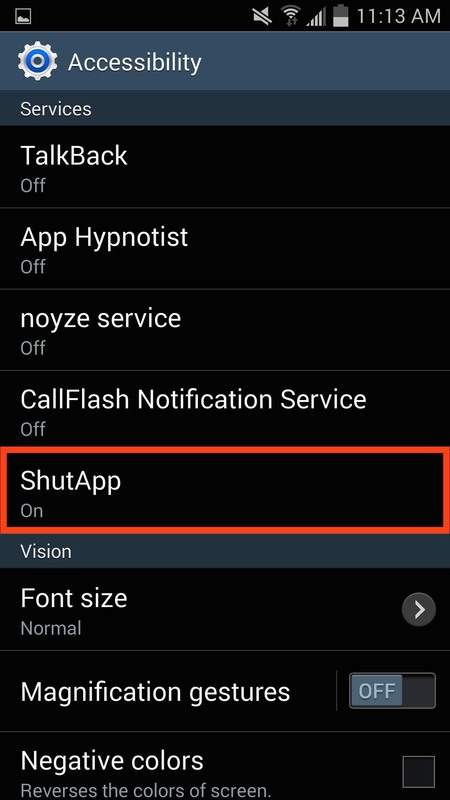 Using an app like this that "shuts" apps (Hypnotize sounded better) you'll actually have worse battery life constantly reopening frequently used apps this useless app will keep closing. Your device will seem slower because of this. Android intelligently caches your apps for you so they open quicker so you can continue where you left off, most times. If you want to use a RAM hungry app with way too frequent wake locks like Facebook,, then I recommend Greenify. Grab the donation version to take advantage of the additional features (requires the Xposed Framework). Greenify works very well on rooted phones and now it is compatible with unrooted devices. It's really not a bad choice. ShutApp is specialized for unrooted phones. It works and is much easier for people at any level to use.